Blood+ probably ranks as one of the best stories ever written in the vampire genre. 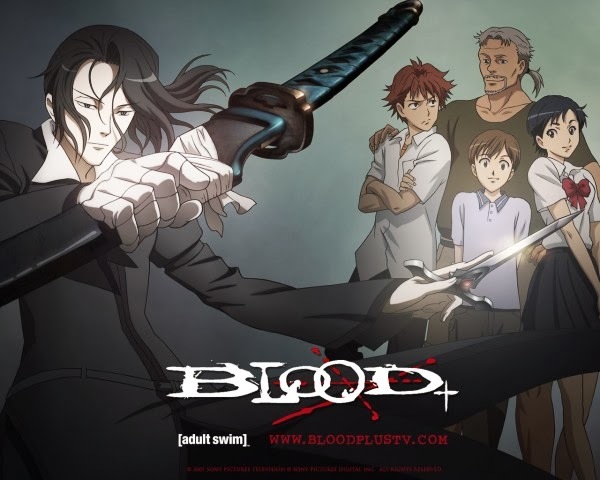 Produced by Production I.G and ANIPLEX, and directed by Junichi Fujisaku, the anime series is based on a movie called Blood - The Last Vampire which was released in 2000. The TV series is actually much more interesting than the movie and more thought provoking. 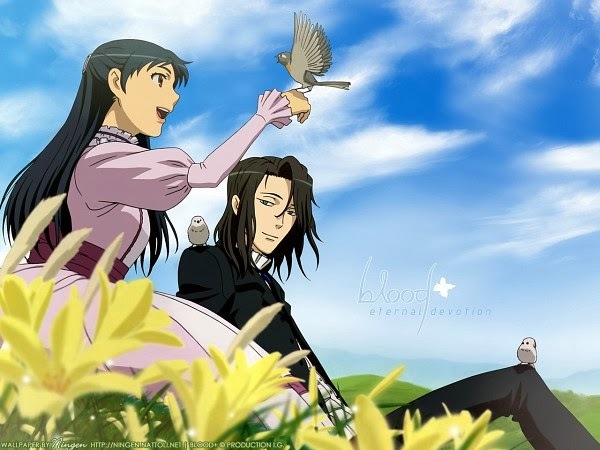 And of course there are the amazing theme songs - who could forget the hauntingly beautiful Season's Call by Hyde? (Hyde is the lead singer/songwriter for Japanese rock group, L'Arc en Ciel. His real name is Hideto Takarai). If you have never heard it before, click below. 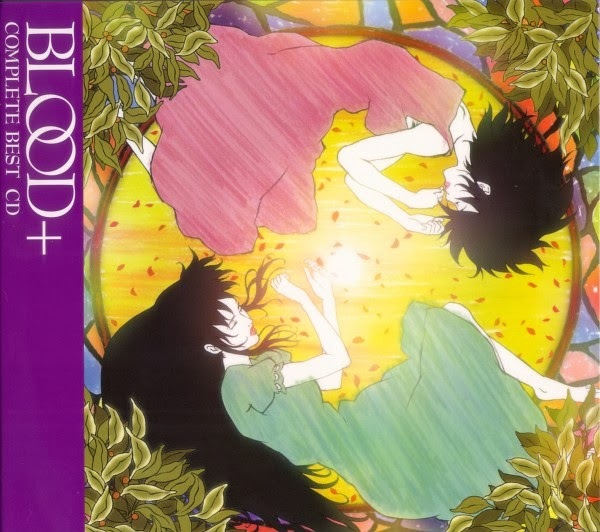 Blood+ is the story of Saya Otonashi, a girl with a dark secret, who slowly discovers that she has superhuman abilities. Saya's discovery that she is actually a vampire, whose blood is lethal to monsters called chiropterans, comes as a devastating shock to her. Saya has bonded with her adoptive human family (who gave her the name of Otonashi) and friends and has always regarded herself as nothing more or less than an ordinary young girl growing up on the sunny island of Okinawa. Saya eventually comes to accept her true nature and armed with a specially adapted samurai sword (katana), she uses her power to ruthlessly destroy chiropterans. 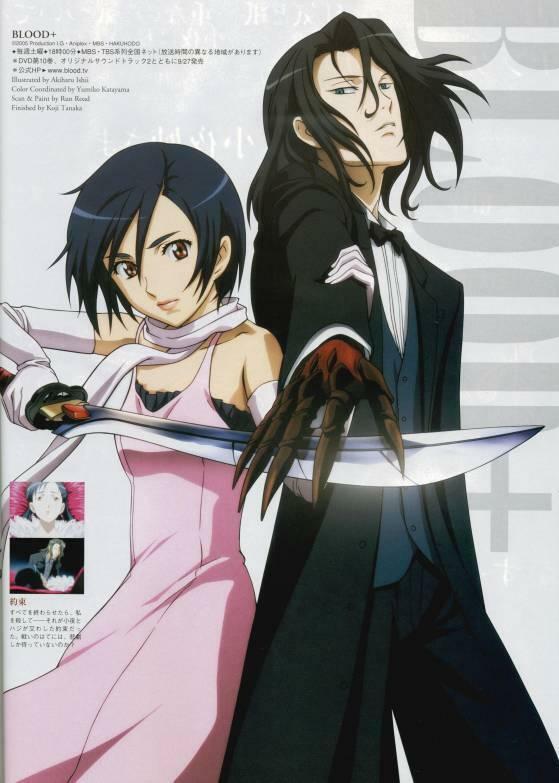 She is assisted in her mission by Hadji - a cello playing vampire who is both her faithful guardian, friend and servant. Initially, Saya has no memory of Hadji even though he claims to know her in past incarnations. However, Hadji never strayed far from Saya and secretly carried her weapon with him; carefully hidden in his cello case. One of the most fascinating part of the series is Saya's discovery of her own past. Hadji reveals Saya's katana and his own dagger. 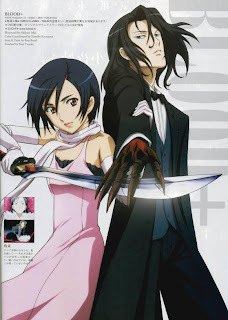 In a series of flashbacks, it appears that Saya was actually one of twin sisters. An extremely wealthy archeologist/naturalist called Joel Goldschmidt discovers the mummified remains of a giant bat-like creature which he calls a chiropteran (after the Order Chiroptera, which includes all bats) in Iceland in 1833. He brings the mummy back to his mansion in Bordeaux, France. After dissecting the mummy, he finds that the creature was carrying two cocoons inside its body. His assistant and perhaps younger half-brother (?) Amshel attempts to cut open the cocoons but accidently cuts himself instead. The drops of blood which fell on the two cocoons brought them to life, causing noticeble heart-beats beneath the cocoons. Joel and Amshel were astonished to discover that each cacoon contained a perfect baby girl - one with fiery red-brown eyes and one with icy blue eyes. 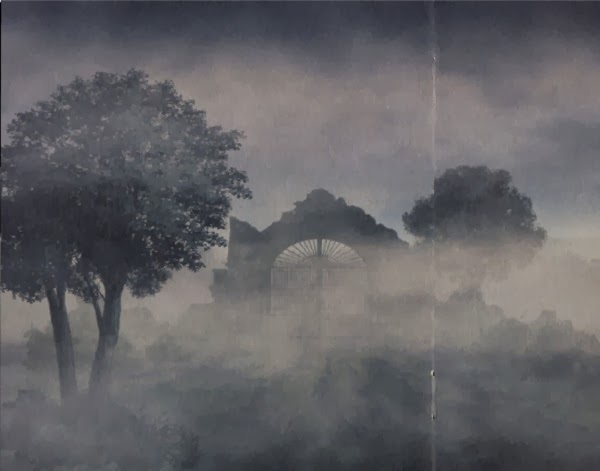 Joel Goldschmidt's daughter in his mansion, the unnamed blue-eyed twin was locked up on top of a desolate overgrown tower in a place called the Zoo (reminescent of Rapunzal?). While Saya was lavished with attention and given the best education, including music lessons, that money can buy; the unnamed twin remained locked in the cold tower with no one to care for her even as an infant. Amshel was tasked with providing the unnamed twin with the basic needs required to ensure her survival. Both girls grew up but never seemed to age after reaching adolescence. In 1863, Saya discovered her twin sister in the tower after hearing her singing. She named her Diva because of her beautiful voice and visited her secretly in the tower. In 1870, Amshel purchased a 12-year-old boy named Hadji from his parents for a loaf of bread! 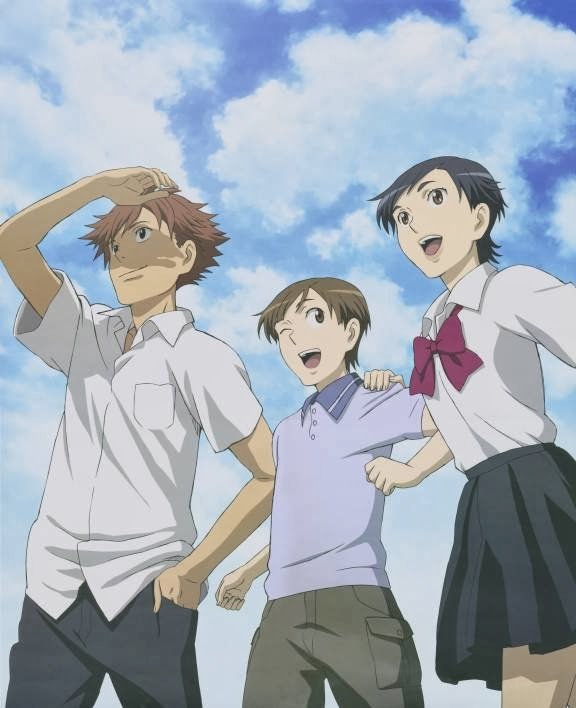 He was to be Saya's friend and companion. Hadji was allowed to live in Joel's mansion, and one assumes was given the same education as Saya had, in yet another social experiment. 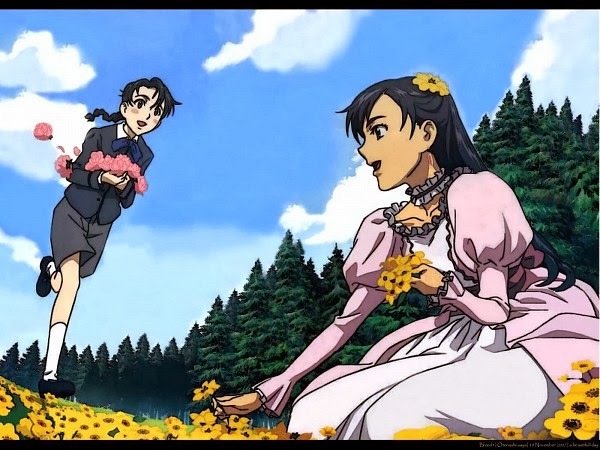 Saya eventually accepts him as a true friend (when he gives her some rare blue roses he picked himself from a nearby cliff) and even teaches him to play the cello, although he soon surpasses her. 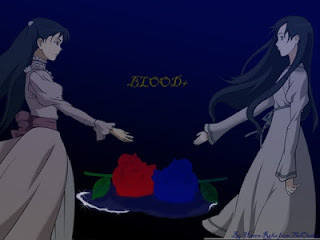 Saya's fascination with the blue rose is perhaps an unconscious longing for her blue-eyed twin. It was a flower that would remain close to her heart, even when she was later to be associated with the red rose, while Diva with the blue. While Hadji grew up into a cultured young man, Saya remained a 16-year-old girl, never aging a day. In a fateful day in 1883, Hadji falls from a cliff, while attempting to pick the rare blue rose Saya wanted to give Joel for his 72nd birthday. His injuries are fatal and while he lays dying Saya makes a desperate attempt to save him by feeding him some of her blood. Thus she unwittingly turns him into her chevalier - her first knight. It is implied that she believes that blood is necessary for life as she herself needs to drink blood to live, but it is also possible that she has a long-buried genetic memory that her blood would heal him. Saya also made another fatal decision on that day - she freed Diva from her cage to allow her to sing for her beloved father, Joel, on his birthday. But Diva exacted her revenge by killing or mortally injuring everyone present - including Joel. She also turned Amshel into her chevalier on the same day. 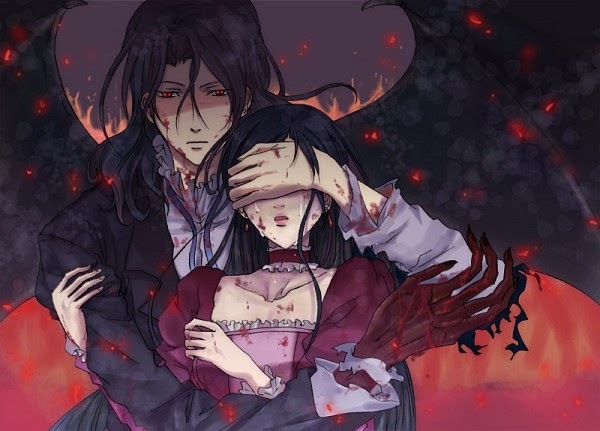 Joel was turned into a chiropteran and Saya was forced to kill him with her own blood to prevent him from turning into a monster. Saya was heartbroken and vowed to kill Diva and all the chiropterans she created. Hadji's right hand should still be undamaged and human at this time in the past. At least one person survived the massacre - a grandson of Joel Goldschimdt who sets up an organisation called Red Shield with the express purpose of helping Saya to hunt down Diva and her minions. It is entirely possible that Amshel was the architect behind all the events in the life of Saya and Diva, and perhaps Joel was not even aware of the fact the Diva was locked up in the tower. As time passed, Diva created four more chevaliers, including Solomon Goldsmith who was another member of the Goldsmith family. An analysis of Blood+ indicates that while the two queens, Saya and Diva and their chevaliers could be classified as vampires i.e. vetalas, however the chiropterans created by Diva's chevaliers could not be regarded as such since they become mindless flesh-eating monsters unable to resume their human forms. One lesson one can take from Blood+ is that while Nature is important, when it comes to sentient beings Nurture is even more so! You haѵе touched sοme goоd things here. fοund any іnteresting article lіke yоurs. It is ρretty worth enough foг mе. a lοt more useful than ever before.